In the morning on June 27th, Standing Vice Chairman of Cần Thơ city People’s Committee Lê Văn Tâm works with inspectorate delegation of the Ministry of Public Security on protecting the State’s secrets 2016, led by Colonel Hoàng Đình Chiều – Deputy Director of Internal Political Security Bureau. Presently, Cần Thơ city found the Steering Committee for Implementing The State’s Secrets at the city and 9 districts, open 9 training courses on protecting the State’s secrets for core officials in districts, and specialized officials on the task. 42 per 110 agencies, units and 39 per 45 units under the city Department of Public Security self inspect and report results of following laws on the protection. Resultantly, there is no case on revealing the secrets at the agencies and units. 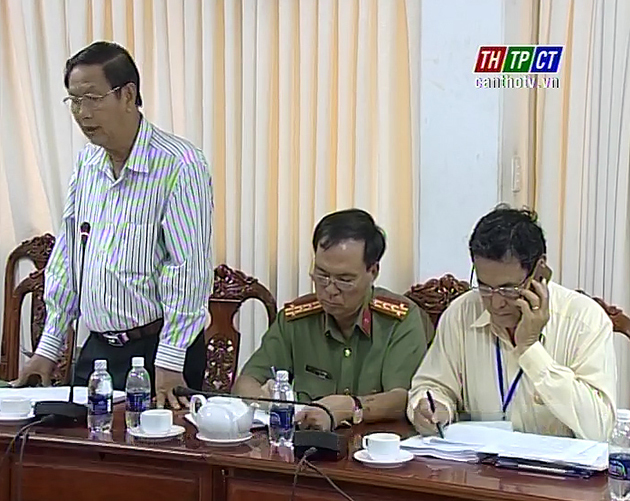 After the meeting, the inspectorate delegation will inspect Cần Thơ city People’s Committee, People’s Committee Office, several departments, sectors, districts and the city Public Security until July 11th.